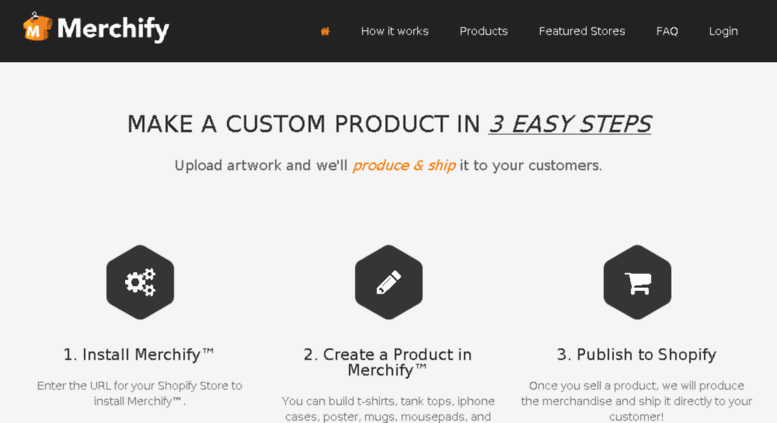 Merchify Straps afull-scale merchandise production and distribution platform to your shopify store. Gives you on demand solution instead of creating an inventory. If you are on shopify just install the app from shopify Website or you can directly download it from Mechify website. Select the product you want to sell like Shirt, T-shirt etc. Choose the SKU for your product. Make sure you upload a high resolution product on the app. Now Set your price according to your margin you want. Last step is Save the product on app. Now the most important part we are left with is to publish your product directly on to shopify because merchify only add your product to shopify then you need to accept it and publish or activate your product on the app. All the processing and delivery work is done by them, on behalf of you they send the shipping details and tracking details to customers.